HOUSTON -- Soccer fans in the Houston area are still on cloud nine after Sunday's 5-2 Women's World Cup win by the U.S. National Team. The casual fan may not have known that the hero, Carli Lloyd, plays right here at BBVA Compass Stadium for the Houston Dash. Her bosses and fans are hoping her history-making performance and the team's demolition of Japan Sunday will help fill more soccer fields and more seats. The first hat trick in the history of the Women's World Cup finals made the Houston Dash midfielder the new "it" girl in women's soccer. 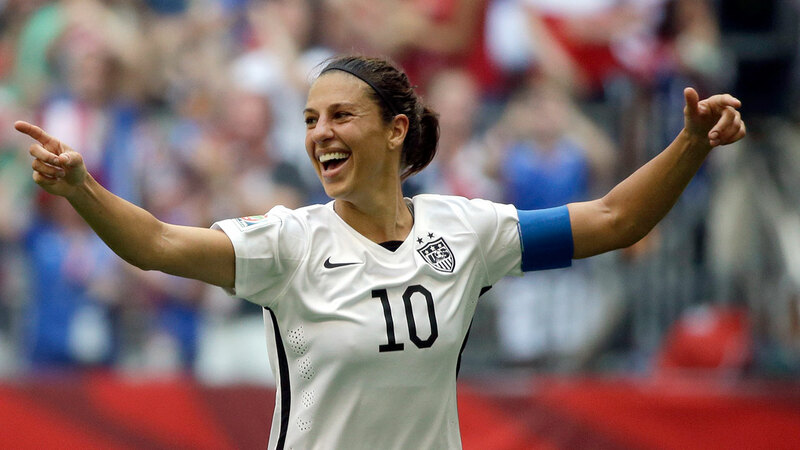 "We knew that Carli had this in her. She's one of the greatest players in the world, and this was her opportunity to show the world what she was made of," says Houston Dynamo/Dash President Chris Canetti. "Now the country knows her name," adds Houston Dynamo great and Dash Managing Editor Brian Ching. "And the fact that she did such a great performance brings a spotlight to the Dash." "It was awesome. I couldn't believe it. In 16 minutes, all those goals. I was like WHAT!!" exclaimed Lora Walker. Walker's young son and daughter play soccer. We met her at the BBVA Compass Stadium ticket window buying tickets for the Dash's next match game. She believes Sunday's historic win will be great for the game. "I think it's going to bring more awareness, a new wave of fans," Walker said. And it's already attracted players like the young budding midfielders and goalies we met in Bellaire. Even at four and five years old, they were excited about the World Cup. "They were determined that they were going to win," says Nora Lumke. "They were so close for the two goals that Japan got for the goalie." Nora Lumke is part of the Soccer Shots camp in Bellaire. She doesn't know if she wants to play professionally yet, but she likes what soccer is teaching her so far. "You get to kind of like get stuff and kind of help each other and get together," she said. Who knows if the hero of Women's World Cup 2035 is on one of Houston's fields today. Right now, the Dash's three US National Team players are doing their whirlwind media tour. Carli Lloyd, Morgan Brian, and Meghan Klingenberg will be back in town Saturday, just in time to for the Dash's next game Sunday. Tickets are still available.